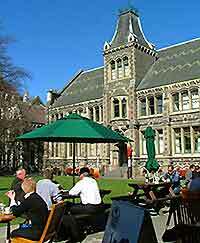 Eating out in Christchurch is generally an enjoyable experience, with many commendable restaurants being based within the city, often specialising in European-style dining and Asian cuisine. Cafes are in good supply within the city and this is particularly so along 'The Strip', which resides in between Cashel Street and Hereford Street, to the east of the Oxford Terrace. 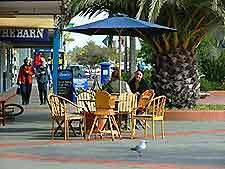 Seafood, seared salmon steaks and Canterbury lamb are often specialities in local eateries around Christchurch. Many extremely popular restaurants await diners along the gridwork of downtown streets close to Cathedral Square, including Colombo Street, the High Street and Manchester Street. 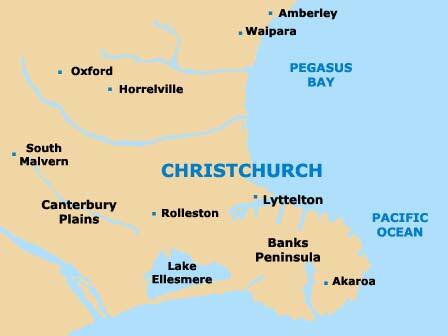 Dining areas in Christchurch also include the Cambridge Terrace, Fendalton Road, Lichfield Street, Montreal Street, Shades Arcade, Victoria Street and Worcester Street. There are, of course, countless other exceptional restaurants tucked away within the backstreets and outer districts of the city. 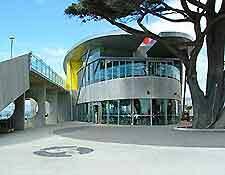 Most restaurants in Christchurch are pleased to accept reservations for both lunch and dinner . It can be sensible to call in advance, to guarantee the dining place of your choice. Local dining venues generally open all week, between 07:00 and 22:00 and often stay open a little later, particularly on Friday and Saturday nights, although some are closed on either Sunday or Monday nights. Lunch ranges from impressive gourmet meals at trendy waterfront restaurants in Christchurch's coastal areas, to simple, fresh sandwiches from one of the numerous sandwich bars or food stalls in Cathedral Square, which often sell an assortment of bagels and paninis. Those looking for a familiar brand may like to head to the food court of the Riccarton Shopping Centre, where both KFC and McDonald's live, along with Sushi Express. On the Oxford Terrace, Wagamama is a particularly notable highlight for those who like noodles and stands close to the Avon River. Generally taken between 12:00 and 14:00, other lunchtime dining options include fast-food restaurants, local burger bars, pizza takeaways and plenty of vegetarian choices. Many of the locals in Canterbury regularly eat out for dinner, from around 18:00 to 22:00 and often later. However, it should be noted that a number of the city's most prominent restaurants have closed following significant earthquake damage in 2011, particularly around the Oxford Terrace and Manchester Street, and so the dining scene in Christchurch is currently undergoing something of a change.